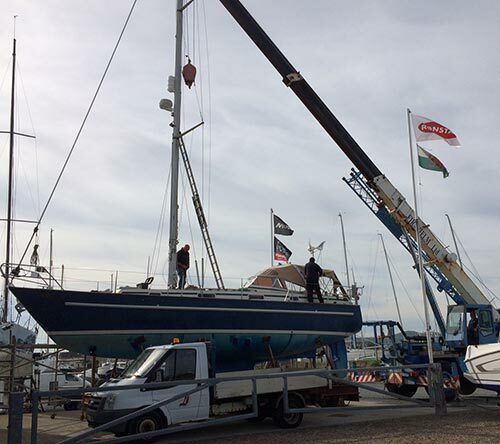 Commissioning of new vessels for several leading yacht manufacturers. Renewal of standing rigging with all in house hydraulic swaging available up to 12mm, all other swaging and rod rigging also available in association with colleagues at Seldon. Furling units for both genoas and mainsails assembled, fitted and serviced. Mobile cranes available in house to carry out all rigging associated works. Visit our online chandlery store where we supply value for money products, Special Purchases, and new and innovative items on a regular basis, delivered promptly and safely to your home address.